It's hard to walk down the aisle of a liquor store without running across a bottle bearing someone's name. We put them in our cocktails, but how well do we know them? Here's some biographical detail on the men behind your favorite tipples. The Captain wasn't always just the choice of sorority girls looking to blend spiced rum with Diet Coke; in the 17th century he was a feared privateer. Not only did the Welsh pirate marry his own cousin, he ran risky missions for the governor of Jamaica, including capturing some Spanish prisoners in Cuba and sacking Port-au-Prince in Haiti. He then plundered the Cuban coast before holding for ransom the entire city of Portobelo, Panama. He later looted and burned Panama City, but his pillaging career came to an end when Spain and England signed a peace treaty in 1671. Instead of getting in trouble for his high-seas antics, Morgan received knighthood and became the lieutenant governor of Jamaica. Walker, the name behind the world's most popular brand of Scotch whisky, was born in 1805 in Ayrshire, Scotland. When his father died in 1819, Johnnie inherited a trust of a little over 400 pounds, which the trustees invested in a grocery store. Walker grew to become a very successful grocer in the town of Kilmarnock and even sold a whisky, Walker's Kilmarnock Whisky. Johnnie's son Alexander was the one who actually turned the family into famous whisky men, though. Alexander had spent time in Glasgow learning how to blend teas, but he eventually returned to Kilmarnock to take over the grocery from his father. Alexander turned his blending expertise to whisky, and came up with "Old Highland Whisky," which later became Johnnie Walker Black Label. 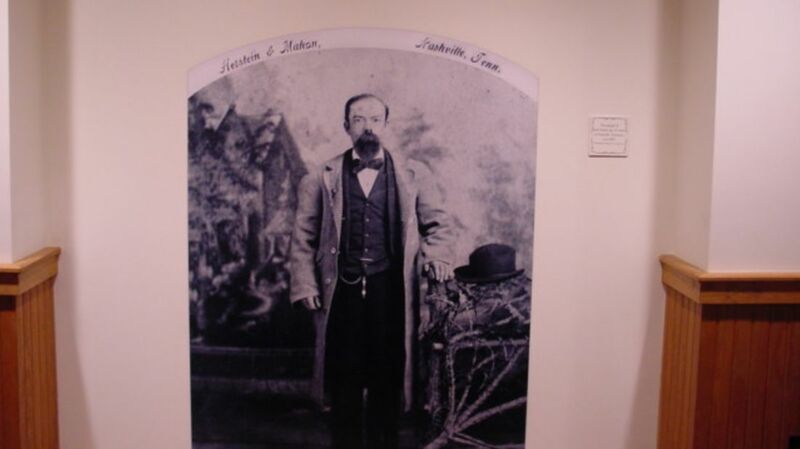 Jasper Newton "Jack" Daniel of Tennessee whiskey fame was the descendant of Welsh settlers who came to the United States in the early 19th century. He was born in 1846 or 1850 and was one of 13 children. By 1866 he was distilling whiskey in Lynchburg, Tennessee. Unfortunately for the distiller, he had a bit of a temper. One morning in 1911 Daniel showed up for work early and couldn't get his safe open. He flew off the handle and kicked the offending strongbox. The kick was so ferocious that Daniel injured his toe, which then became infected. The infection soon became the blood poisoning that killed the whiskey mogul. Curious about why your bottle of J.D. also has Lem Motlow listed as the distillery's proprietor? Daniel's own busy life of distilling and safe-kicking kept him from ever finding a wife and siring an heir, so in 1907 he gave the distillery to his beloved nephew Lem Motlow, who had come to work for him as a bookkeeper. In 1758, Jose Antonio de Cuervo received a land grant from the King of Spain to start an agave farm in the Jalisco region of Mexico. Jose used his agave plants to make mescal, a popular Mexican liquor. In 1795, King Carlos IV gave the land grant to Cuervo's descendant Jose Maria Guadalupe de Cuervo. Carlos IV also granted the Cuervo family the first license to commercially make tequila, so they built a larger factory on the existing land. The family started packaging their wares in individual bottles in 1880, and in 1900 the booze started going by the brand name Jose Cuervo. The brand is still under the leadership of the original Jose Cuervo's family; current boss Juan-Domingo Beckmann is the sixth generation of Cuervo ancestors to run the company. Jim Beam, the namesake of the world's best-selling bourbon whiskey, didn't actually start the distillery that now bears his name. His great-grandfather Jacob Beam opened the distillery in 1788 and started selling his first barrels of whiskey in 1795. In those days, the whiskey went by the less-catchy moniker of "Old Tub. " Jacob Beam handed down the distillery to his son David Beam, who in turn passed it along to his son David M. Beam, who eventually handed the operation off to his son, Colonel James Beauregard Beam, in 1894. Although he was only 30 years old when he took over the family business, Jim Beam ran the distillery until Prohibition shut him down. Following repeal in 1933, Jim quickly built a distillery and began resurrecting the Old Tub brand, but he also added something new to the company's portfolio: a bourbon simply called Jim Beam. When he was a young boy, Charles Tanqueray's path through life seemed pretty clear. He was the product of three straight generations of Bedfordshire clergymen, so it must have seemed natural to assume that he would take up the cloth himself. Wrong. Instead, he started distilling gin in 1830 in a little plant in London's Bloomsbury district. By 1847, he was shipping his gin to colonies around the British Empire, where many plantation owners and troops had developed a taste for Tanqueray and tonic. Gaspare Campari found his calling quickly. By the time he was 14, he had risen to become a master drink mixer in Turin, and in this capacity he started dabbling with a recipe for an aperitif. When he eventually settled on the perfect mixture, his concoction had over 60 ingredients. In 1860, he founded Gruppo Campari to make his trademark bitters in Milan. Like Colonel Sanders' spice blend, the recipe for Campari is a closely guarded secret supposedly known by only the acting Gruppo Campari chairman, who works with a tiny group of employees to make the concentrate with which alcohol and water are infused to get Campari. The drink is still made from Gaspare Campari's recipe, though, which includes quinine, orange peel, rhubarb, and countless other flavorings.